When superstorm Sandy hit Long Island, the Euliano family was left with almost nothing. 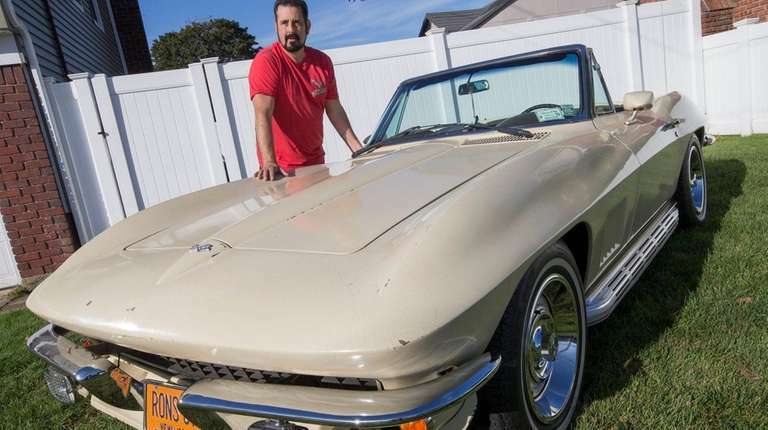 But there was one thing the storm couldn’t take from them: Ron Euliano’s beloved 1967 Corvette, which had been submerged in 4 feet of floodwater. Five years and thousands of dollars later, Euliano’s prized vehicle is back on the road. Ron Euliano, with his 1967 Corvette. Photo Credit: Ron Euliano, with his 1967 Corvette. “Everyone told me to get rid of it, but I just couldn’t let this one go,” said Euliano, 61, of Oceanside. The two have a long history. In 1973, Ron heard about “this nice little car” for sale outside an auto shop on 86th Street in Brooklyn: a ’67 Corvette with about 18,000 miles on it. Ron’s mother, who came with him to see it, wrote a $100 check toward the purchase. A similar car currently can go for $150,000 or more on Autotrader.com. But Ron — then 18 or 19 — was more than happy to pay the $3,500 price tag. “I said, ‘Mom, I’m never selling this car,’ ” he recalled. He painted the car himself, choosing a unique cream color. He picked up his girlfriend — now his wife, Laurie Eulanio — from her Rosedale home for long drives together. 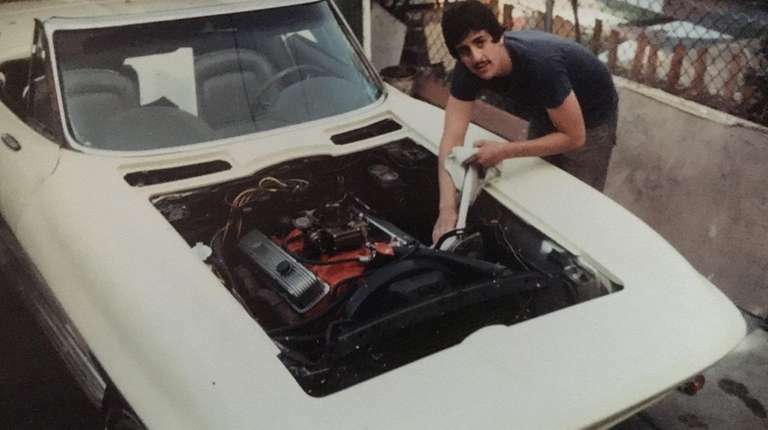 Through the years, the Corvette — with a “RONS67” license plate — turned heads, whether at the grocery store or one of the classic car shows Ron frequented. He even wrote a song about it: “Corvette Heaven,” about driving the beloved car into the afterlife. But during the storm, water started seeping into his home. By the time Sandy subsided, the entire first floor was flooded. A thick layer of mud coated the floor and furniture. The floodwater reached windshields of the Corvette and two Pontiac GTOs next to it. The family didn’t have flood insurance, and couldn’t save the other cars. But the Corvette stayed. “I said, ‘you can’t give this up, it’s part of you,’ ” said Laurie, 60. Ron put the car in storage, but kept it from rusting through cleaning and repairs. Finally, after he completed repairs on his house last year, he began to work with employees at Baldwin’s National Collision Co. almost daily to get the Corvette running again. Nearly everything had to be replaced, from the interior to the engine. About a month ago, Laurie heard the rumble of the Corvette’s engine outside her window. Although the car isn’t quite finished yet, Ron has taken it to two car shows this month, and he has requested a few more parts for his birthday next week.